Another terrible week and I’m really starting to get over everything. It’s not the time involved (which is less then 5 hours per week), or even the constant swings and emotional roller-coaster that are beginning to really piss me off. It’s more in my faith that the models that I am following are actually profitable. At the moment, I am betting heavily on AFL, MLB, Tennis and Horse racing. I thought having this diversity was a good thing, as a bad week in one sport would be covered by others and vice versa. I don’t want to rely on just the one or two models as any of them could easily have a losing year. The one model I had complete faith in, has destroyed my profits in the last few weeks. The model I always thought was a bit iffy is responsible for almost $50,000 profit and has been consistently good from day 1. Another that had an amazing stable record of winning years has been down massively early in the year and has returned to profit and then some in the last few months. As I write this I realise it sounds stupid, this is what betting is and I should be dealing with the ups and downs equally. But if I am not confident that I will be making a profit at all then I shouldn’t be betting. On the other hand, I really want this to become my main source of income. 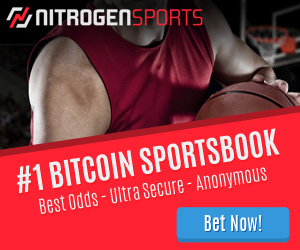 The benefits are clear to see, It takes very little time to place and record bets, which in turn allows me to pursue other things I am interested in, it’s tax free, It allows me to make enough frequent flyer miles to travel the world. But these are benefits only if it is profitable. My profit still stands at over $15,000. But in the last 9 months it has not moved. It has had a high of $47,000 and a low of $9,000. I’m really not sure what to do at the moment. I guess the old British maxim is a good one for such an occasion. Keep Calm and Carry On. 365 days isn’t far off and that’s when I will really sit down and take a long hard look at the past year and see if improvements can be made and to ask the biggest question of all. Should I continue? Lets start this week with the positives. MLB had lower turnover this week as I do not bet when Interleague is on. Another $2,200 profit was made over 4 days. Men’s Tennis continues its recent great form with $3,100 profit, while the Yang this week was the women’s, losing $2,100. This model seems to never have both sides winning at the same time. This week is all about the French open, so a much higher turnover this week. The formbet golfing model had a win with Poulter in the Matchplay for $900 profit. AFL cost me another $11,000 this week. Most games were not even close. This is my most heavily bet sport in terms of Kelly percentage. There are usually only a small amount of bets per week but at an average betsize of around $2,000, a few losses add up quickly. This coming week could break my bank and put me into negative territory for the first time. Formbet ratings have again been woeful with a $6,500 loss. Dave keeps saying to keep in the game, its all about the long term profits. I agree 100% with this, but what is long term? I have now been following the model for the past 6 months and it is down. 6 months is long term in my eyes. I did double my betsize a few months ago and this has resulted in a greater loss, but I’m just not sure about the long term viability of this service. I feel its more that I hope this service works, as it is so simple to set and forget it. But it is giving me the most headaches, waking up each morning to my betfair profit and loss screen to see another negative balance does not make me a happy camper for the rest of the day. I’m going to try something new this week, here goes. I hope I have a terrible week. I am happy to find someone recording how they are following my selections. Though 900 profit only, im surprised at. Poulter was 18.5 around about most of the week, then Nicolas Colsaerts I did advised to play each way, and he was around the 10.5 mark for the place most of the week. I reduced things a bit with the US tour with only the 3 main selections which would of been a $300 loss and 3 wildcards for a $150 loss. Now for Poulter and Colsaerts (place) if still running the $100 bets and $50 wildcard bets…it would be more than the $900 profit you are stating. How you playing the selections? Are you including other selections that Dave puts up? For me I use Daves ratings as a agreement to mine and look for good overall selections on the US tour, now the problem is a systematic approach with golf, I have ideas that I look at and then go more indepth into these ideas and try and find who I believe is overpriced based on past history and current form, then looking at the ratings to determine how well on certain areas they show up. Please mate any questions or concerns you have with the approaches to the golf and the number of bets etc etc fire all the questions at me you can! Willing and able to help you make this a profitable angle for your profile. I must admit I missed the EW option and only bet the win. Another error on my part as I went back to the email and did see the advised EW. It seems I can’t get it right when it comes to Colsaerts. I also follow Dave’s selections so it isn’t a true reflection of your tips, it is purely all Formbet tips. Are you suggesting that I should lower my wagers on Dave’s picks or not play them at all? Does he have a history of results posted anywhere? I wish I could go back into my spreadsheet and figure out where the majority of the losses were coming from but I can’t. I send out a full history of results each month for each system – if you want any of the previous months results so you can compare to what you have been betting then please contact me via my email or contact form on the site rather than post up on a public forum. I don’t believe your results are accurate…the ratings and systems have been making consistent profits with the TOP3 in profit in 14 of the last 16 months and although May has been one of the worst months it has had a turnaround the last few weeks and I am sure you will see a major difference with AutoBotV2 which has been in profit since I have been testing and places far fewer, value bets to maximise returns. If you ever need to contact me directly about what staking plan or percentage staking you are using then please do so – you should be having most on the TOP3 (perhaps 1.5%), TOPFNR should be 1%, and the rest between 0.25% and 0.5% so I suspect the losses are exaggerated due to an imbalance in the staking…have you also been following all the trends bets like Misty For Me and the other bets in the forum ? There was a 61/1 winner posted up today and other big priced qualifiers that will get captured in the new bot from 1st June. Thanks for taking the time to comment. My results are only accurate for myself and I do understand you don’t want negative comments posted about your service. But if you read through my blog you will see that I am overall extremely positive about your service. It is the only Horse racing model I follow and even after a horror run I am still putting my money into it as I know it will eventually turnaround. I must admit that my staking is a little off of what you reccomend but not that far. I bet a base of $65 for all the other system bets and then between $100 – $150 for the major ones. 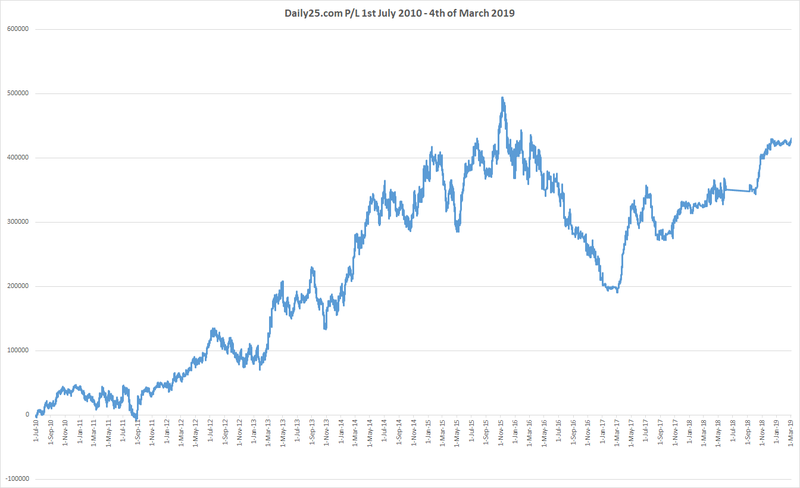 I only occasionally bet the trends as the emails are not always explicit in stating which ones to bet, and as I have mentioned in prior posts, I like the service because it is so quick to set up and automate. I look forward to these being added to the bot as of June if they have been doing so well. I do apoligise if you are not happy with me posting my results, but I feel people understand this is just my experience with models, each persons experience is going to be different. With the Womens Tennis model I do not bet anything under $1.30 and this has saved me an enormous amount of money over the year, whereas others following all bets are down massively. It is something I have noticed recently, peoples figures will never be the same as the published results and in many cases one person might be in profit and the other might have a loss. A missed bet here or there or being able to get better prices can have a drastic impact. An example from Saturday night, I was at a birthday party and didnt make it home in time to start the bot until after the 4th race. In that time I missed out on $2,000 profit and the day ended in a loss for me.